"JJ" 6x02. . Wallpaper and background images in the Dr. Spencer Reid club tagged: criminal minds spencer reid genius matthew gray guber dr. spencer reid. 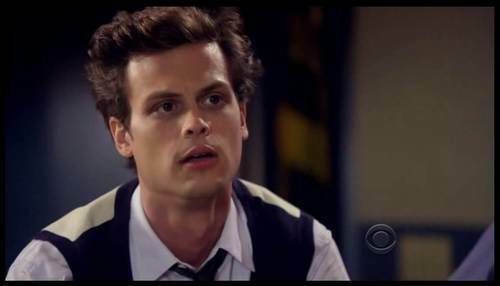 This Dr. Spencer Reid Screencap contains porträt, kopfbild, nahaufnahme, portrait, headshot, and kopfschuss.